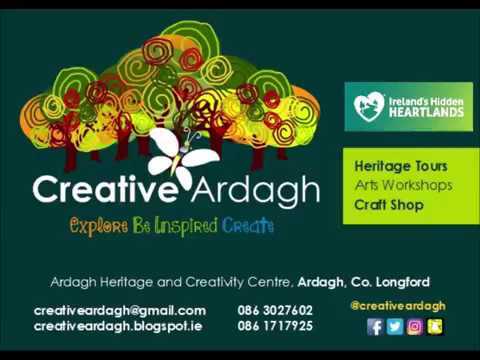 Creative Ardagh: What's on in Creative Ardagh? What's on in Creative Ardagh? There's lots happening in Creative Ardagh in 2015. French, Spanish, German and Maths grind clubs for Leaving Certs, a range of art and other classes for all ages and as always we are available for group bookings and parties. Of there's something missing that you would like please let us know. Full details below. We are delighted to announce that we are hosting a new drawing and painting class for adults facilitated by artist Loretto Cooney on Tuesdays from 27th January, 10.30am to 12.30pm. 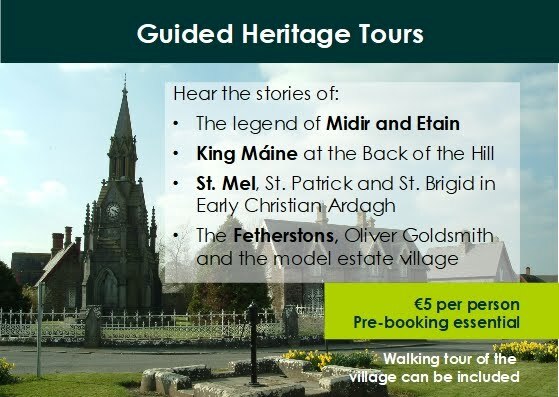 Call her for full details and to book your place 086 8478527. Community Games Modelmaking classes 5.30 to 7.00pm. €3 per person. German Leaving Cert Grind Club starts Wednesday 21st January, 6.30pm to 8.00pm, €80 for 6 sessions €20 for drop in. German native speaking teacher Jana Reinhardt will prepare you for written exams and orals. French Leaving Cert Grind Club 6.30pm to 7.30pm. Starting on 14th January. Practice for your orals and prepare for your written exams with a qualified, experienced teacher/examiner in a group session. €80 for 6 classes €20 drop in. Susan Eades, M.A., H.Dip Ed, SEC oral examiner. Maths Leaving Cert Grinds Club starts Wed 21st Jan at 8.00pm, €80 for 6 sessions or €20 drop in. Prepare for ordinary and higher level Maths exams with qualified Maths teacher. Why not revise your French with Susan this year!!! Adult Group French Conversation Sessions start on 14th January at 8pm. French conversation on current affairs, Grammar catch-up, French for holidays. €80 for 6 wks or €20 pw drop in. This exciting art course continues on Thursdays in Ardagh Heritage and Creativity Centre, Ardagh, Co. Longford from 12.30 to 1.30pm, open to all ages from toddlers to adults. Each class will cost €5 per person with occasional extra charges for materials which will be advertised in advance. Check out creativeardaghartelements.blogspot.ie for more details, to participate from home or to download lesson plans for schools. If you are interested in a Saturday afternoon class please let us know, we will provide it subject to demand. Be creative with your Toddler in a relaxed, fun environment. Every Thursday from 11.00am to 12.00pm. €5 per week. Art Materials provided. Free Tea/Coffee for the accompanying adult. Are you interested in arts and crafts? Want to learn some new skills in a relaxed, friendly atmosphere? Come along to the arts and crafts group on Thursdays from 12.00 to 2.00pm, €10 per person (including free tea/coffee). Activities include drawing, painting, collage, ceramics, felting and weaving. Contact us for more details. In to be creative from 11am to 2.30pm every Thursday. €5 per person, per hour to use our Art room and materials, €7.50 per hour per person for tuition from our Qualified Art teacher. Spanish Grind Club for the Leaving Cert Cycle recommences 16th January, 6.30pm to 8pm. €80 for six class block or €20 for each drop in session. New members always welcome. Come and learn in a fun group environment with an experienced native speaker. Oral, Aural, grammar and exam paper preparation. We are currently offering a Winter Woods workshop package to preschool, school or other groups. The package includes art and science in our DPSM Woodland Creations workshop and an extra drama workshop in the two hour session. Learn lots about the woods in winter - how to identify trees, where animals live, what they eat and if they hibernate then create an art piece with things you can find in the winter woods. Prices €4 per person for one hour, €6 per person for one and a half hours or €8 per person for two hours for groups over 10. (Supervising adults free). €5 per person for one hour, €7.50 per person for one and a half hours or €10 per person for two hours for groups over 10. Contact us on 086 3027602 or creativeardagh@gmail.com to arrange your visit.